Are you fed up of sketching cataracts on scrappy pieces of paper of taking apart your ageing model eye? Bring patient education into the 21st century with the Insight family of patient education software. Working closely with our development partners Medivision, we have produced a stunning set of patient education animations describing most of the conditions and products that you routine explain to your patients in Optometric practice. 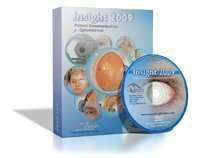 For the consulting room: Insight is an interactive computer-based program designed to help you explain conditions, treatments and solutions directly to your patients. 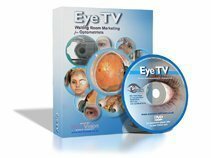 For the waiting room: EyeTV is a computer-based marketing tool which will run in a continuous loop in your waiting area. For your website: The webpak allows you to display any of our animations on your website for just £15 / month.